High-profile clashes between whites and blacks throughout the country have escalated tensions in how we talk about law enforcement, violence, and race. Recently the Companion sat down to talk with two Chicago pastors about the myths and realities surrounding violence and crime in our urban centers—and where the church is called to stand in the midst of these stories. Michael Washington is pastor of spiritual formation at New Community Covenant Church in Logan Square, Chicago. David Swanson is pastor of New Community Covenant Church in Bronzeville, a church plant of New Community Logan Square. He also serves as the director of church planting for the Central Conference. The two are friends serving in sister churches. Numerous controversial and often tragic incidents involving police and African Americans have happened over the past year. What do these events tell us about the state of affairs in our nation? And what role, if any, should the church be playing in response? Michael Washington: These incidents tell us that our nation is still sin-filled, still accepting the same persistent evils, and still subject to the same powerful grace in the great news about Jesus as it’s spoken and embodied by Christians. The Covenant should be the most courageous as it’s ever been. Joan Chittister said, “Tiny acts of courage are tiny acts of hope.” Maybe a church starts with tiny, hardly noticeable acts. Maybe a church can do something huge. Maybe a church can do several things over the long committed term. We need churches doing all the above. David Swanson: What these violent events tell you about our nation probably depends a lot on how one has previously thought about the United States. If a person has thought about this country as mostly good, maybe even God-blessed in a unique way, then the increased exposure of violence will introduce some dissonance and, likely, confusion. But if a person and the people he is associated with have been on the receiving end of America’s violence, then what we see in the news is simply confirmation of previous experience. As to how churches can respond, I’m thinking especially of those who represent the former group. As we come to learn about the unjust, violent experiences of those who don’t share our race, a first response would be to repent. That is, we have to acknowledge our own complicity in a system that has wreaked havoc on members of our Christian family while we — and I include myself — have remained ignorant and distracted. There are certainly other things that can be done, but I genuinely hope that our first actions would be deeply informed by our ancestors in the faith: confession, repentance, lament, and reconciliation. Is there a violence epidemic? Are we seeing something different than in earlier eras? What’s your sense of what’s happening in urban communities today? MW: I don’t think so. Because of the media and the immediacy with which we get information about what’s happening, we feel like violence happens all the time. But in reality there’s less violence. Our nation is not that old. Even as recently as sixty or seventy years ago, the prevalence was worse. DS: Statistically, we’re at a four-decade low point in terms of violent crime in our city. I would say that it’s not an epidemic of violence, relatively speaking, but there’s still an epidemic of poverty, and the fruits of that epidemic are very real. Those fruits might be realized in a violent expression, or they might be more subtle. That social reality and the way our city works to separate, segregate, and concentrate people who experience poverty within certain zip codes, neighborhoods, or boundaries is a harder story to tell. Some people have been confused by the protests that have sprung up around the country in places like Ferguson, New York, and Charleston. They find it difficult to understand why so many people of color are distrustful of police. 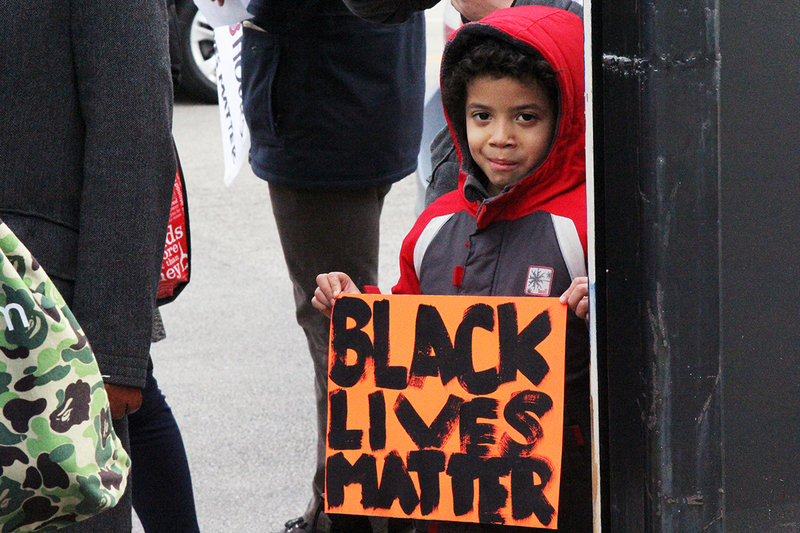 Can you help us put into context the reasons for movements like Black Lives Matter? 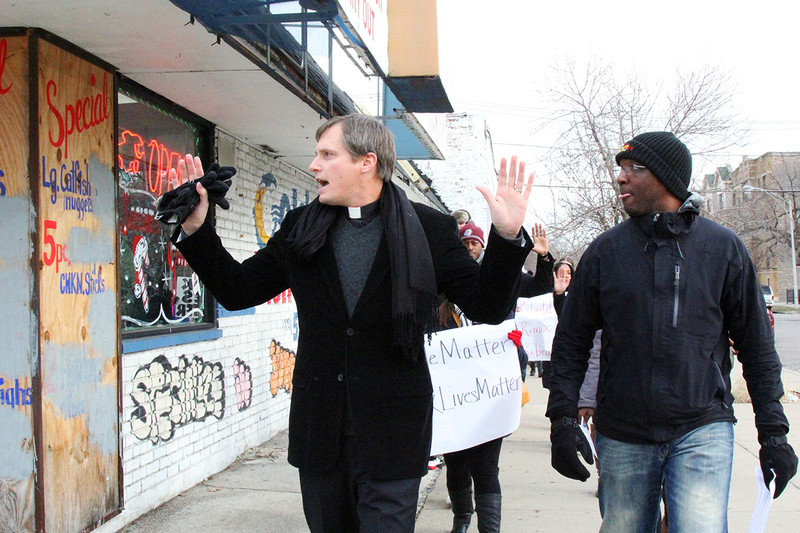 MW: There’s a larger narrative being told in Black Lives Matter. 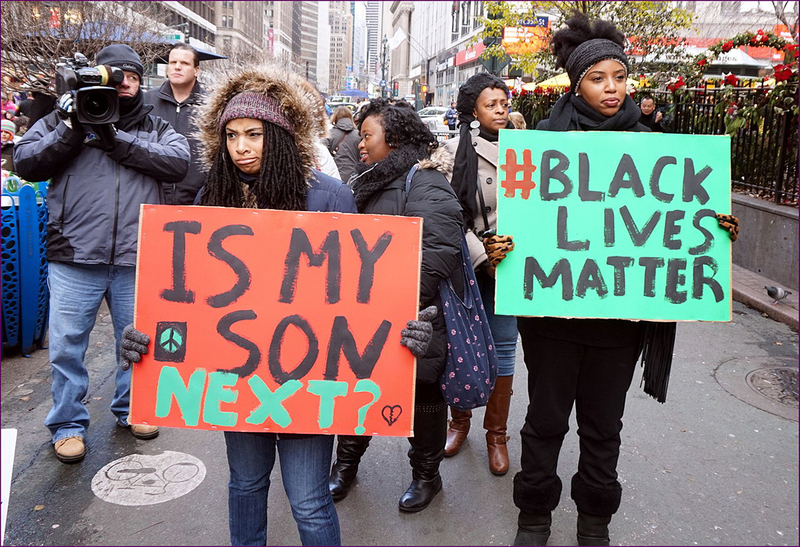 It’s a pushback against the notion that black life possesses less intrinsic value. 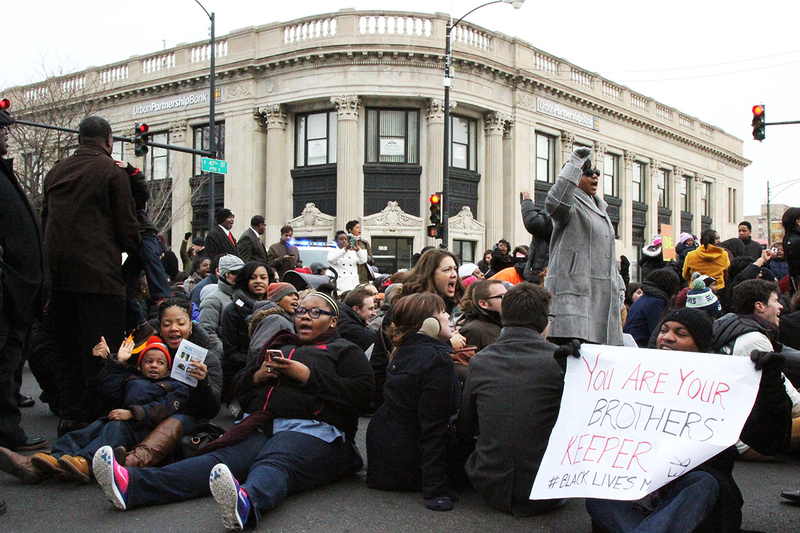 These protests result from incidents where black life is treated as insignificant. If people don’t immediately get it or they don’t sit with it, it’s easy to dismiss the movement, saying, “You can’t keep telling us the same story.” Every time there’s a Trayvon Martin or a Michael Brown, some people are tempted to say it’s just the same story. That’s the deep horror in it, because the nuances of every crime or death or murder are different. These incidents are unmistakable reminders that the authorized, state-sanctioned, municipality-sanctioned institution that is intended to protect you is aggressively coming after you. That happens every day for black folks. So even though it’s only happened to me a couple of times in my life, I still live with that collective experience. And it feels like black life doesn’t matter. DS: Even if a person is completely detached from these kinds of stories, all of a sudden Black Lives Matter is everywhere. Then that person says, “Where did this come from?” How do you experience that person’s reaction? MW: On my best day, I’m patient and I can say, “Here are some places where that comes from.” On my worst day I’m offended and insulted, and I question your ability to read history. I know a whole lot about your history because I have to. But it feels like you don’t know necessarily know mine. DS: I think that’s part of the dynamic that makes this so complicated. White people don’t have to know. Not only do we not have to know the baseline experience of any African American or other person of color, in fact, we’d have to make some very specific choices to even be in an environment that allows us to know their experience at all. These moments reveal the depths of ongoing segregation. Even if it doesn’t look that way in many places, relational segregation is still a reality for many of us. DS: You’d hope that the Christian person who feels surprised at a Black Lives Matter moment or movement would remember the call to think the best of their sister, their brother. That in and of itself would be the invitation to say, “I don’t get it, I’m missing something, but I’m going to assume the best about you, which means that I need to ask the question and then I need to listen for a minute.” Maybe that assumes too much, but hopefully the gospel will give us those kinds of resources. MW: It’s not easy. Most people’s experience of a black life is not your personal experience of me, David—it’s the media’s portrayal of me, or it’s the guy who ran them off the road, or it’s something even worse, right? I had an anchoring experience when we were in Estes Park, Colorado, a few years ago. I was about to be ordained at the Annual Meeting, and we were at a barbecue restaurant with my wife, my son, and my sister-in-law. My son was a year and a half, and he was playing on the floor, and we were the only black people in the restaurant. We had a really bad thing happen. And I remember saying that the best place for that to happen was where I got to leave that restaurant and go back to the camp and be with the Covenant. If I didn’t have that, or if I didn’t have our friendship, I would assume all white folks are like they were in the barbecue place. And it’s not true. I got to go to a community where they were immediately helping me be honest about reality. As urban pastors, can you talk specifically about how violence has affected you personally, in your ministry, and in your parishioners’ lives? DS: When people come to our church, they walk past patches of pavement or playgrounds where people have recently been killed. So that memory is in the air. I think about post-traumatic stress disorder and people who live in neighborhoods that don’t feel safe. To live in those circumstances with those possibilities, all the time—that has a psychological and emotional impact. So how do you preach the gospel in that environment? How do we preach the gospel that acknowledges the all-too-real presence of evil, yet allows the good news to still be very, very good news? That’s really hard. But if it’s not possible, then I don’t think the good news is good news for anybody. If we can’t proclaim and articulate why the death and resurrection of Jesus Christ still is the most important thing in the world in this place, then I’m not sure that it’s the most important thing anywhere. MW: One of the ways it has impacted our congregations is in the liturgy. We know that what happened last week will make its way into the worship service. I might not be immediately impacted by violence as a worshiper, but I am shaped and formed by a community that acknowledges it on Sunday. Until recently, no one in our congregation had been immediately impacted by any murder. But then the brother of one of our leaders was shot multiple times. On the one hand, he most likely wasn’t making some of the best choices. But, on the other hand, we have to wonder how many options he had in the first place. DS: Many people in our church have a genuine sense of calling to vocational work in our neighborhood. Every year some of these folks know somebody who has been shot or who has suffered some kind of violence. The understandable tendency in that moment is to pull back because it’s painful. One of the things the church can do is to remind people of their vocation. That God has in fact called you to be a teacher in this space, to be a social worker, a therapist, a homemaker, a businessperson working for the good of your neighborhood. And even though it feels really hard or maybe even like God has abandoned you, he hasn’t, and this church will be a safe place for you to grieve, to lament, to be angry. Then we remind you that God has a good plan for you, and we will be there with you as you keep saying yes to God. We will send you back to them, because we can’t be in all those places corporately, but we’re scattered in that way. MW: That makes me want to preach. Part of what you’re saying is God hasn’t abandoned you. 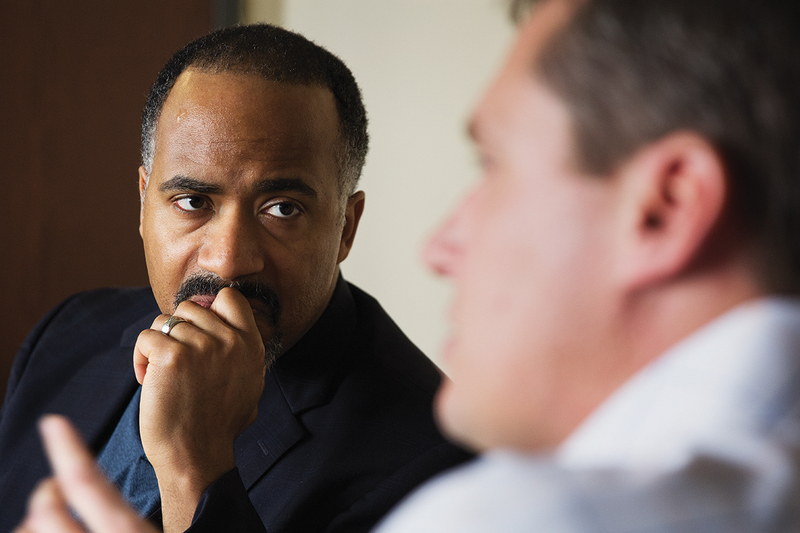 Can you help us form a theological framework for thinking about violence today? 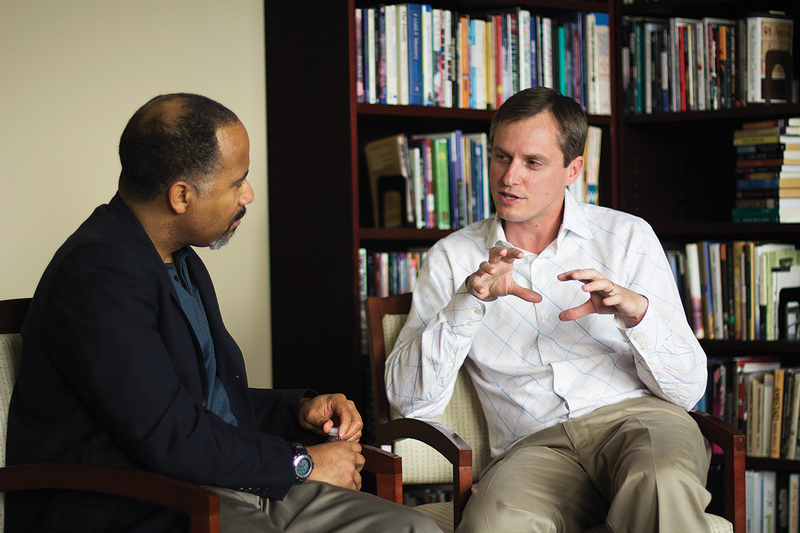 MW: If we’re going to talk theologically about violence, we need to look into the Scriptures. Finding a story in Scripture that resonates with a congregation is an invitation into the biblical narrative. Of course we know that that’s not true. Domestic violence, which is often much more invisible or tucked under the covers or behind the curtains, exists everywhere. Jacques Ellul is helpful for me. In his book The Meaning of the City, he says, “Why is the city so violent?” Well, because it’s made of people. And people are violent creatures, and so the system of the city has been intertwined with the sinfulness, the brokenness, and the rebellion of our humanity—even while there’s still plenty of good that exists and God’s grace holds that together. DS: What makes us different isn’t that we are somehow immune to violence. It’s that we are the people who are quick to confess not just the violent act, but our tendency to it and the thought of it. God’s grace gives us the freedom to acknowledge this on a regular basis. Michael, you’ve written that the Covenant Church has a rich history of responding to violence in society. Could you elaborate on that and suggest some practical takeaways for how the church can respond? DS: It’s also important to emphasize that the Covenant is an immigrant church. I think that identity led some of our pastors during the civil rights movement to identify with what was happening on the South Side or the West Side in Chicago and to walk and march and be present in those places in solidarity. MW: One of the other things that the Covenant does is Sankofa. That journey is not just about the immigrant experience but about going back to revisit painful places and collecting often violent stories. DS: Outside of living, breathing relationships, it’s just theory. Theory’s an okay starting point: Read this book, watch that documentary, hear that story. But at the end of the day if I’m not in relationships with people who are experiencing the violence of America in a different way than I am, it will always just be theory. In the summer of 2014 in Chicago, there were around 250,000 stop and frisks by police officers that didn’t lead to arrests. Around 70 percent of those suspects were African American. 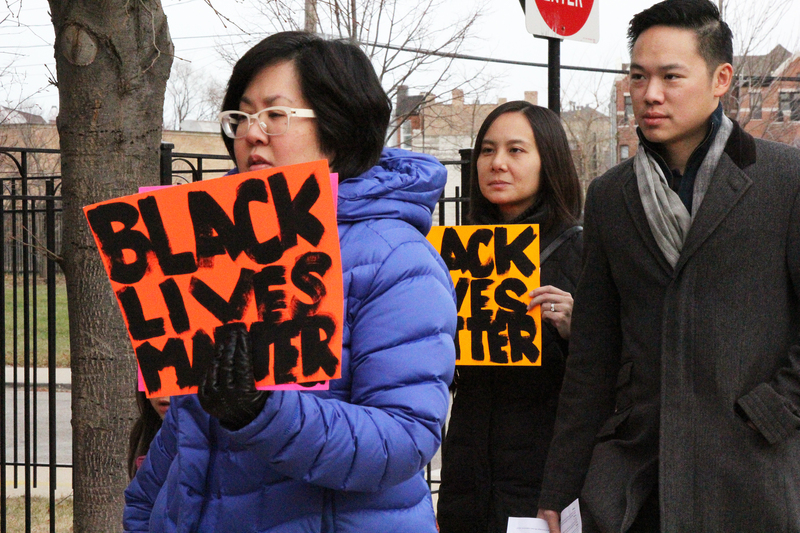 For some perspective, African American people make up only 32 percent of Chicago’s population. The statistics are skewed out of proportion. The unfortunate reality is that most white people in our city will never know that. They will never know that in our city if you are a young black man you are four times more likely to be stopped and frisked than if you lived in New York City. They won’t know that—unless they are in community or relationship with people who are experiencing that and that truth somehow gets intertwined with their own experiences. Then, either you have to say, “I know this, but I’m not gonna do anything about it.” That’s an option, but not really for Christian people, right? So now you’re sucked into this, and now this reality of violence is a part of your story too. MW: How do we develop systems, structures, and expectations where we are partnering together? We’re working within and across conferences and between churches to say, “You who have never been in an urban setting are developing meaningful friendship with this congregation where we’re getting to know each other’s communities.” I think the expectation for us to build relationships that transcend geography will attain what you’re talking about, to some degree. DS: Violence is not going anywhere anytime soon. This is why Advent and Easter matter, right? But we’re not there yet. And so our churches should be forming people who can exist and flourish within violent places and violent times but not be overcome by them. Do we have a vision for being present and flourishing right where we are? Do we have ways of measuring what success looks like as communities, as individuals, even as violence rages against us and around us? Is there a way that, through the gathering of the church, through the disciplines, through the proclamation of the gospel, we are bearing witness to Jesus Christ as a community in this place? Edward is an award-winning journalist and author. Besides being the executive minister of Communication at The Evangelical Covenant Church, he is author of Birmingham Revolution: Martin Luther King Jr.’s Epic Challenge to the Church and Reconciliation Blues: A Black Evangelical’s Inside View of White Christianity. Ed’s mission, both professionally and personally, is to be a bridge-builder, bringing people together across racial, denominational, and cultural lines. Excellent article, I had the blessing of meeting the ministers. In such a difficult times we can see how the Holy Spirit works in people who want to do something to change this broken world. What a fine article–timely and cogently written. Thank you Ed Gilbreath! I hope one day to meet you. You are a gift to the Covenant. And what a joy to know of two such gifted, articulate and committed pastors sharing the truth about our nation and the hope of the gospel of Christ. “Te Deums” to God!